The summer before my sophomore year in college in the 1970s, I joined other Camp Manuka counselors every 10 days to greet a new bus load of Camp Fire girls from the San Francisco Bay Area. 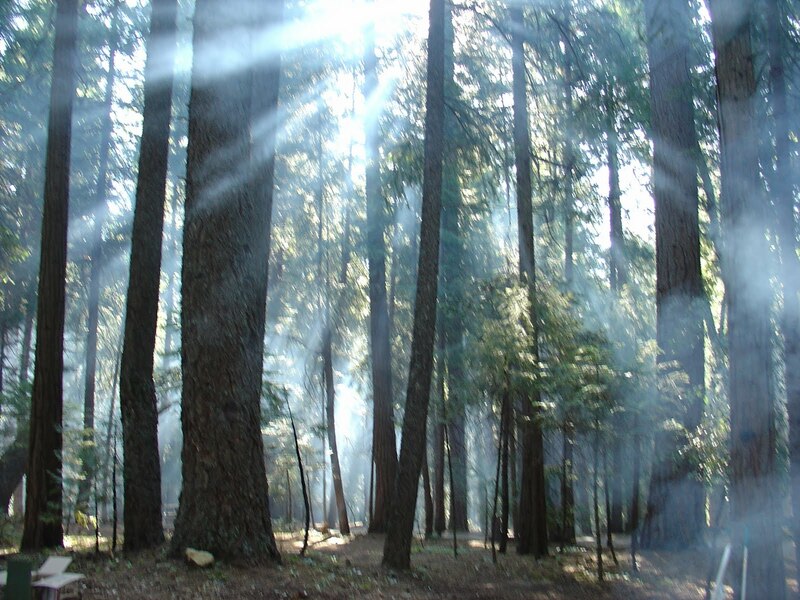 The camp is in the Sierra Nevada foothills, near the Gold Rush town of Nevada City. After greetings and orientation, I’d take my half dozen little campers to the rustic cabin they’d call home for the next week and a half. We’d settle in and talk about the adventures in store for them, but sometimes I needed to coax the timid ones back outside. To the alarm of some kids, we slept outdoors on cots, except when late summer storms forced us inside. Often the children had never been away from home overnight before, never slept in the open air. Many had never seen a lake or walked in a forest or cooked a meal over an open fire. Lots of them couldn’t swim or use a bow and arrow. Many were African American girls from inner-city communities. By the end of their stay at the camp, the girls were relaxed in the woods – laughing, learning to canoe, fish, hike, sing silly camp-fire songs, identify tree and bird species. Often they didn’t want to leave. That summer I read The Autobiography of Malcolm X and Soul on Ice by Eldridge Cleaver and taught the girls the basics of theater—stage craft, movement and how to deliver quick bits of dialog. I also hope they learned confidence and that they belonged outdoors. I learned from them too, learned how nature can enrich our lives and make us stronger, bring us together as people. Nature has always been our greatest teacher, the place artists, poets and scientists turn to for inspiration. The natural world draws us in, makes us strong and allows us to experience a sense of wonder and it sets the stage for our achievements in the built world. Environmental journalist Judith Shock asks in an article that appeared recently on the Miller-McCune Web site: What happens when children fail to bond with nature? The answer to this question concerns me very much. 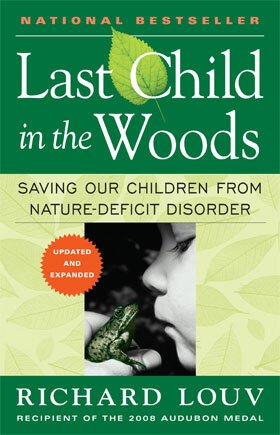 Shock suggests that one answer is that our children have developed “nature deficit disorder,” a term coined by Richard Louv, author of Last Child in the Woods. Louv identifies seven basic concepts that can help reshape our lives. He says that by tapping into the restorative powers of nature, we can boost mental acuity and creativity; promote health and wellness; build smarter and more sustainable businesses, communities, and economies; and ultimately strengthen human bonds. In his book, Louv makes a convincing case that we are entering the most creative period in history and challenges us to rethink the way we live. He says nature deficit disorder describes the high cost of separating children and nature — including attention deficit hyperactivity disorder, childhood obesity, higher rates of physical and emotional illness and vitamin D deficiency, among other things. Today, instead of hiking, swimming and sitting around campfires roasting marshmallows and telling stories, children are more likely to play indoors, watch TV or focus on electronic games. Or they play highly structured games like soccer and baseball that don’t allow for roaming outside the lines. For inner-city children, in particular, these activities relegate nature to a non-reality. It’s simply not part of their lives and sometimes just going outside can be dangerous. I’m reading Carson McCuller’s book The Heart is a Lonely Hunter, published when she was 23 years old, and in light of the discussion about nature deficit disorder, I’m struck by the free-roaming of the children described in the 1930s, the era in which the book is set. Children climbed trees and stayed out after dark all by themselves. Parents these days are so worried about the dangers kids might face being out of eyesight that there’s very little latitude to explore and play freely. But, there are ways to work against the disconnect between kids and nature – gardens at home and school, walks in the neighborhood with a basic guide to trees and flowers, scouting and Camp Fire groups, YMCA outdoor programs and a variety of environmental adventures offered by local, state and national parks. Children are the stewards of the future. They need to connect with nature when they’re young to develop a sense of natural comfort and belonging on our planet. The solution is simple: Get kids outside more often so they can discover the pleasures and adventures waiting for them in the natural world. It’s theirs, after all. I’ll be at the Squaw Valley Writer’s Workshop in the Sierra Nevada near Lake Tahoe next week. I’ll only be at Squaw Valley for a day, but will spend a couple of days enjoying the surrounding mountains. Check next week’s Word Garden for a report on seeing the literary trees through the forest. Very informative. Thanks for sharing!! !